Subterranean Termites are the number one termite problem that comes with destruction and frequency of infestation. Termites have been known to cause up to $ 2 billion of damage each year. They must have a moisture source to survive usually in the soil. Termites make their way to structure by the way of mud tubes. The termite colony is comprised of 3 types which are workers, soldiers and reproductive. The workers are responsible for all the damage wood. 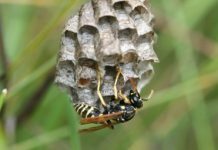 The soldiers job is to protect the colony from any other insects. The reproductive role is to reproduce the colony. There are two types, the king and queen. Termites also have swarmer’s which appear when the colony is several years old. When a colony splits, male and female swarmer’s will pair up and start a new colony. 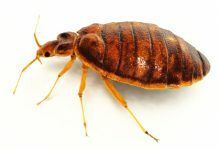 Swarmer’s: On window sills or near an indoor light indicate an infestation of the structure. If seen outdoors, it is a warning that they may attack a building nearby. Wings: Swarmer’s discard their wings, which may be found near window sills or in cobwebs. Mud Tubes: Can be found between soil and source of cellulose. They are found going up columns, on foundation walls, or on pipes. Wood Damage: Look for wood-to-soil contact or for moisture damage. 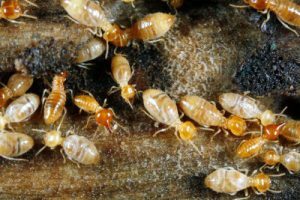 There are many different ways of treating termites, the most common ones are liquid termiticides, foam termiticides, borate treatments, and bait station. Liquid termiticides This are the most conventional method of termite control. They are also effective in creating a barrier around your home, which will keep termites from being able to enter your home and may prevent attacks for many years. Foam termiticides. These are useful because they reach places where conventional liquids may not. The foam expands and creates a barrier. A borate solution is sprayed directly on wood an soaks in. Borates generally repel insects but, if consumed, it kills the microorganisms that produce enzymes in the insect’s stomach. This makes the insect starve to death.Studies have shown that borates will repel termites for up to 9 years. These baits attack the termite colonies that reside in the soil. They are placed approximately every 10 feet around the perimeter of the home. When termites ingest the bait they carry it back to the colony and share it with other termites. Call us today to schedule a free home inspection or if you have any questions!